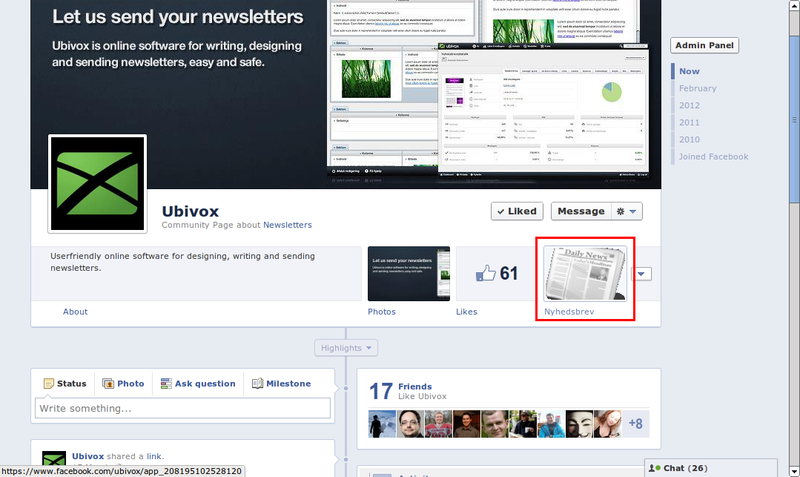 You can, without greater effort, insert a web-formula on your Facebook page, which directs subscribers directly to your Ubivox database. 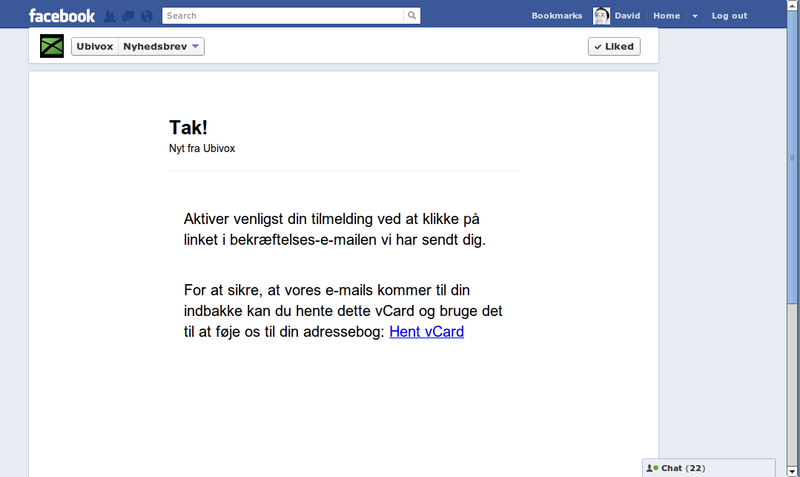 Thus, new subscribers may quickly sign up from your Facebook page. First and foremost, you need to find the link to the web-formula that you will be using on Facebook. 1) Log in to your Ubivox account and select Lists & Receivers and chose Lists. 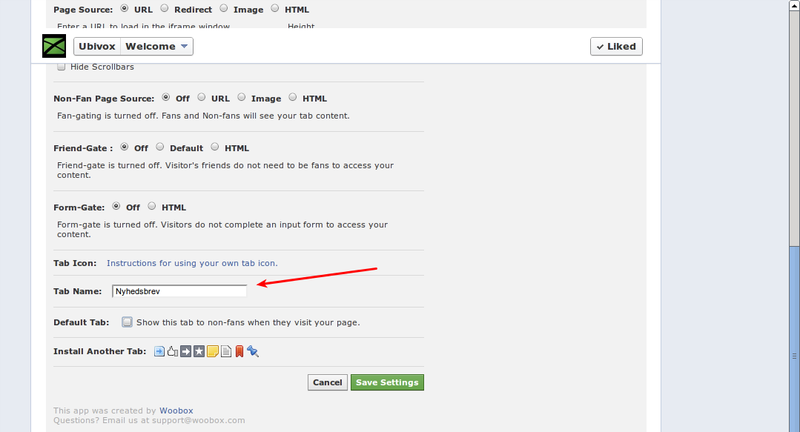 Select the list you wish Facebook visitors should be able to sign up for and chose List menu at the top right corner and chose Website integration. Mark and copy the link you see on the following page. 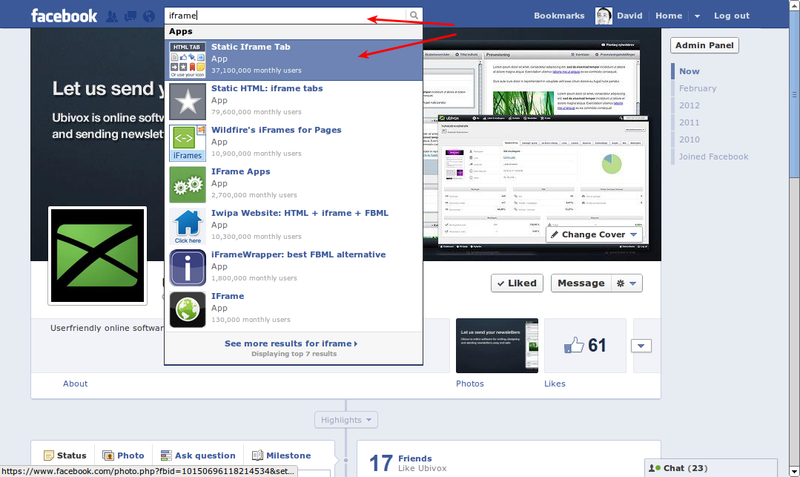 2) Go to Facebook and search for ifram in the search filed in the top of the page and chose 'Static Ifram Tab'. This is a third party app that has not been created by Ubivox, however, we have tested it and it works like a charm for its purpose. 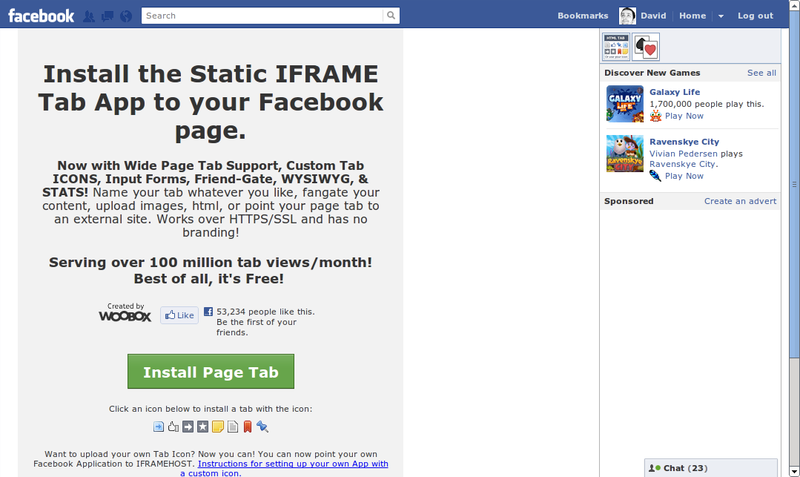 3) Chose 'Install Page Tab'. 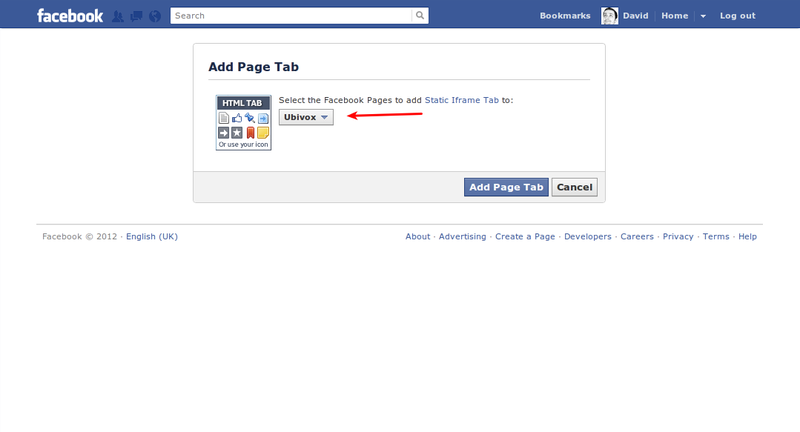 4) Select the Facebook page you wish to insert the web formula on and chose 'Add Page Tab'. 5) You now have the possibility of installing your ifram tab. Scroll down to 'Page Source', make sure that the button 'URL'* is marked and insert the link you made a copy of in the beginning of this guide. 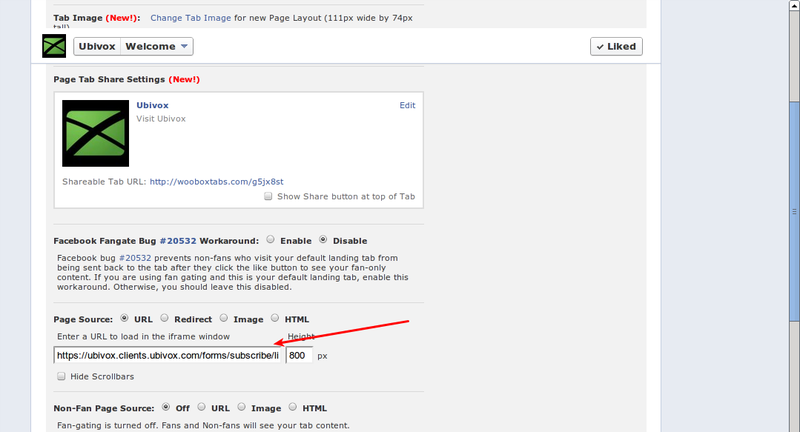 6) Scroll further down on the page until you see 'Tab Name' and name your web formula, i.e. 'Nyhedsbrev' (The Danish word for newsletter). 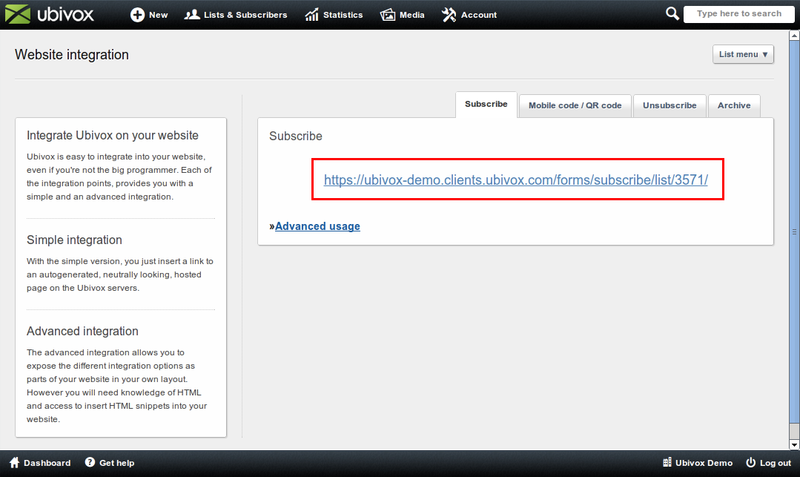 8) By clicking at the tab the sign up form from Ubivox will appear. 9) By clicking at 'Tilmeld' (Sign up) the new subscriber will automatically receive a confirmation e-mail and the sign up is completed. 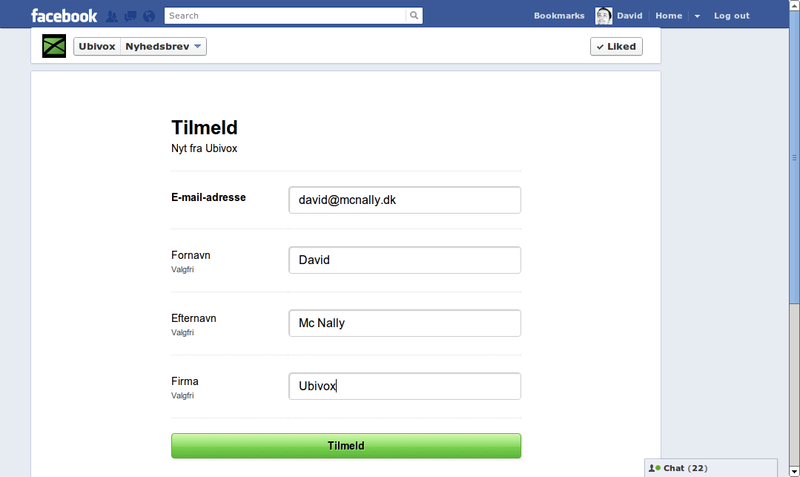 You are now ready to receive sign ups to your newsletter from you Facebook page.